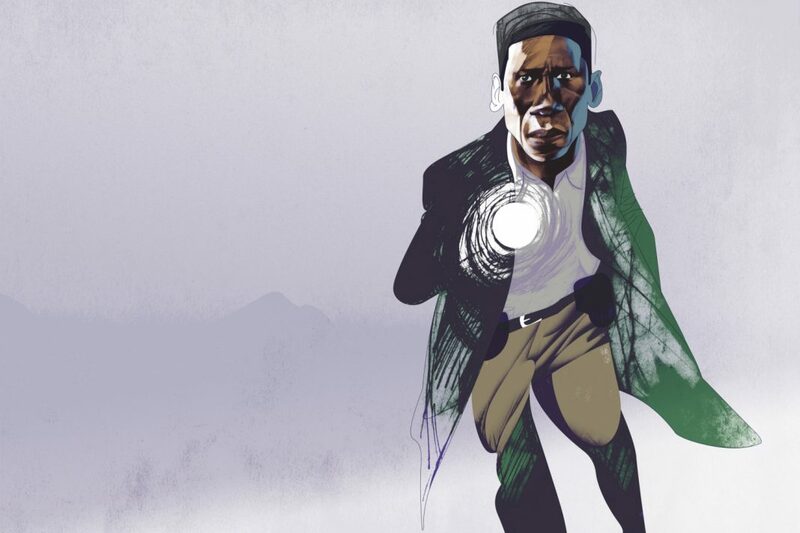 In a race-conscious society, it would be easy to call Mahershala Ali the most important African American actor to emerge since Denzel Washington, but that would miss a larger point. The larger point is that, right now, Ali is the best actor in America. Last night he won an Academy Award for his performance as real-life pianist virtuoso Doc Shirley in Green Book, to go with the Academy Award he won for Moonlight two years ago, and the Emmy Award he’ll win six months from now for the recently aired True Detective. Lately Ali has been a juggernaut: Shirley, True Detective’s true detective Wayne “Purple” Hays, steely political operative Remy Danton in House of Cards, Harlem crime overlord Cottonmouth in Luke Cage, the voice of the Prowler in the highly regarded Spider-Man: Into the Spider-Verse, and Juan the Cuban crack dealer by night and guru by day in Moonlight, all attest to Ali’s possibilities, each bringing not only its own set of words and actions but its own psychic tone. These performances span Juan’s determined adherence to a code, Hays’s recessive focus, and Shirley’s fastidiousness in disguising a conflict between pride and insecurity, and they’re distinguished by a killer smile that’s sometimes lethal, sometimes warm, sometimes the mask of rage when—in Green Book, for instance—Shirley performs to a room of bigots who applaud his genius but won’t let him use their bathroom. Given how much has been written in recent months about Ali and his contributions to True Detective, he seems to have come out of nowhere, even for viewers who follow film and television closely. I first took note of him on House of Cards only to learn my kids knew him from series I’d never seen, like Luke Cage, which had the distinction of being the only comic-book show to contemplate the literary merits of Chester Himes and persistently cite the 1920s Harlem Renaissance as a cultural touchstone. Like all overnight sensations, Ali’s night was longer than most are aware of, including performances in The Hunger Games and The Curious Case of Benjamin Button, and going as far back as turn-of-the-millennium series NYPD Blue and Law & Order, not to mention a whole other life as a rapper. Suddenly, however, Ali seems to be everywhere, stealing whatever picture or show he’s in, often with a single scene—a quiet conversation by the sea, a war of words with ghosts following him from room to room in an empty house, an outburst in the rain about the perpetual sense of exile to which America has consigned him as a man not black enough, not white enough, not man enough—and often with his own exit. The canceled Luke Cage never really recovers from Cottonmouth’s plummet through the window of his nightclub, and as fine as Moonlight otherwise is, once Juan is gone a third of the way in, the film conspicuously misses the center of gravity he brought to it. Ali isn’t in every scene in True Detective; it just seems like it. The show is Ali’s masterpiece, and the third season is the best installment since it premiered five years ago to excessive praise. Like a lot of HBO’s successes of late, 2014’s original season caught audiences’ imaginations on the basis of production values and marquee names like star-producer Matthew McConaughey, then on his meteoric rise from movies’ most-underrated actor to most overrated in a matter of weeks, before the ludicrous zen of Lincoln car commercials. The first season fetishizes the freakery of its serial murders at the cost of going deeper, while the second season (based on the corrupt investigation of Vernon a decade before) was so ill-received that it was an iffy proposition whether HBO would approve another. If the third season four years later is marked by some of the misbegotten plotting of the first two, it is a virtue, not a flaw, that the mystery itself becomes less interesting than either the characters or a lurking political subtext, with the narrative beginning three days after the election of Ronald Reagan, and alongside the unshakable presence of the Vietnam War five years after its end. As constant, if often unspoken, is the matter of race, manifested by unmistakable resentment against Ali’s investigating cop, the hesitancy with which white cops respond to his orders, and the way those he questions in the investigation always address their answers to the white partner. All of the major roles that Ali has played are of men isolated. They’re isolated by their demons, but as much if not more, they’re isolated by American demons in an era when America has allowed its demons to take over. If there’s a fourth season of True Detective, then Ali saved the series if anyone did, raising it above its tired American gothic of dead children in a pose of prayer. It would be one thing if his performance stood out among an ensemble of slackers, but it is all the more remarkable in an exemplary cast of Carmen Ejogo, Michael Greyeyes, and a particularly stellar Stephen Dorff, with Mamie Gummer and Scoot McNairy as grieving parents consumed by a self-hatred so ferocious, it’s a wonder any grief is left. The essence of Ali’s tour de force is that whether we are seeing his character in his mid-30s or his mid-40s or at 70 (usually within the course of a single episode), the actor manages the neat trick of being inhabited by all three identities at once. In a race against a memory that grows blind spots like cataracts, Ali’s old man is desperate to solve the mystery of a missing girl, which might also redeem a secret so terrible that he’s been trying to keep it from himself. With the able assist of some terrific makeup artists, Hays is as impressive an incarnation of an old person by a young actor as anyone has seen; Ali doesn’t just move like someone old but, like someone old, he processes everything that’s becoming finite at frightening velocity. Did I mention that Ali has been a juggernaut? So it’s odd that right now there are no further film or TV projects in sight, and we can only hope that the present moment’s best actor has the luxury, even if black and the first Muslim ever to win an Oscar, of taking time off and settling into life as a father while his wife’s career as a musician takes priority for a time. Recently Ali has been quoted as feeling the need to protect himself from people’s fear of an overpowering black man, recollecting subway rides where women near him would turn the diamond rings on their fingers inward, finding that when—as the son of a Christian minister—he converted to Islam almost 20 years ago, he was suddenly on airport watch lists and having his bank account frozen from time to time. All of the major roles that Ali has played are of men isolated. They’re isolated by their demons, but as much if not more, they’re isolated by American demons in an era when America has allowed its demons to take over. So far, a man who isn’t isolated is the only kind of American Ali hasn’t played. Maybe that will prove the limitlessness of his range and possibilities most of all, not to mention the limitlessness of ours.